When people from different countries with different accents and pronunciations work together, words can easily be confused or misinterpreted. A phonetic alphabet meets the need to spell out words clearly, and can assist quick and effective communication. A good word alphabet can help your listener to identify the spelling of difficult or little known words or names. Phonetic alphabets assign a word to each character so that the letter’s name begins with the letter itself. They also contain the numerals from 0 to 9. They are particularly useful for transmitting precise alpha-numeric information such as map grids and car registration numbers. A phonetic alphabet is a useful verbal tool that can make oral radio and telecommunication easier. Phonetic alphabets are at least as old as radio communications. The NATO phonetic alphabet became effective in 1956. Some years later, the NATO alphabet became the established universal phonetic alphabet for all military, civilian and amateur radio communication. All organisations and professions develop their own obscure buzz words ­and baffling terminology. Business jargon is often used in the workplace. However, it can confuse and runs the risk of causing misunderstanding. When speaking to a journalist over the telephone, there is none better than the internationally accepted “Alpha, Bravo, Charlie … X-Ray, Yankee, Zulu” alphabet. 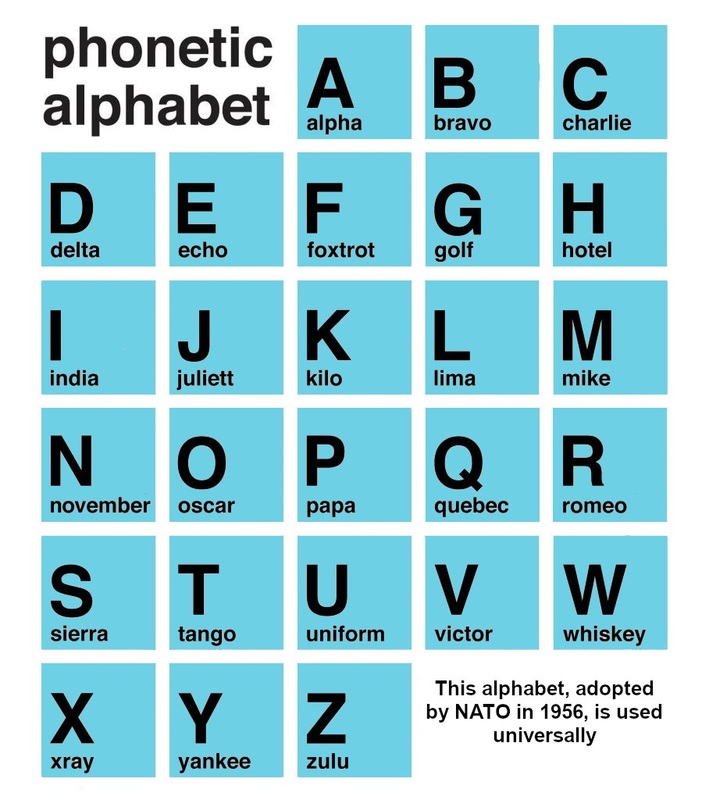 This word spelling alphabet was developed in the 1950s to be intelligible over po­or-quality radios to all NATO allies, especially in the heat of battle. It replaced other earlier phonetic radio alphabets. Words were assigned to the letters of the English alphabet so that critical combinations of letters could be understood by aircrew and air traffic controllers regardless of their native language. The words were chosen to be as distinctive as possible to limit the risk of confusing them. Without these carefully chosen words some characters, such as D & T, B & P and M & N, are easily confused. So learn the word alphabet by heart and avoid making up your own words. “B-bobby” and “P-poppy” confuse rather than clarify. Today the word spelling alphabet is widely u­sed in business and telecommunications across Europe and North America. Reporters use it in their spoken news despatches and the police use it to spell out names and car numbers. It could enable you to help a journalist write a clearer and more accurate story about your business.